The effect of unregulated drones became particularly apparent this week when recreational drones were found flying in a no-fly zone near the wildfires burning in the San Bernardino Mountains. According to an article in the Los Angeles Times, the drones were spotted by an incident commander on the ground forcing three planes carrying fire retardant to divert their course. The DC-10 was able to reroute to an alternative fire on the Nevada border but the two smaller planes had to jettison their fire retardant because they could not land with the added weight. 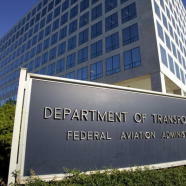 While the Federal Aviation Administration has issued a NOTAM designating the area as a temporarily restricted airspace, given the anonymity of the drones and inability to immediately identify operators, implementation can be difficult. The incident underscores the importance both to local agencies and to drone operators of understanding the legal landscape regarding drone regulation. Sharks have privacy rights too? Why Only Regulate Commercial Drone Use? Commercial Drones and Privacy of Operators — Lessons to Be Learned from EU Recommendation? Legislators Ask, Is California Law Ready for Drones?